While at one time “going green“ could be seen as a fad, today the “green” movement has become a basic social expectation. Of course, there are companies, organizations, and individuals out there who are not as environmentally conscious or aware as they could be. But, for the most part, being green where we can is expected. We live in a society poised for change. With ever imposing threats of unemployment, debt, a failing economy, climate change, and exhausted natural materials, movements are being made for change across the board. While environmental activism is no new thing, it has gained a new meaning in today’s society. Being actively green involves all aspects of our daily lives—it means wasting less and conserving more. Construction and building are one area that can really benefit from green thinking. 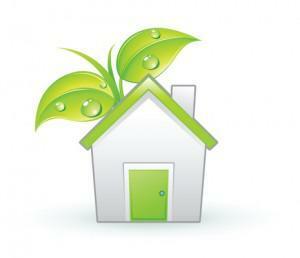 Green homes conserve energy and utilize fewer non-sustainable materials. Whether you’re in the market to buy a home, build a home, or do some renovations, these three green construction practices can really reduce the impact you and your home have on our planet. Insulation is a major aspect of green building. Having a properly insulated structure reduces the amount of energy used within a building (also reducing your energy bills). Cellulose insulation provides many green advantages over traditional fiberglass insulation. Blown-in cellulose insulation is made up of 80 percent recycled newsprint paper, and other wasted paper products. Because the cellulose insulation is blown-in to place, it seals every cavity and crevice, doing a more thorough job of insulating your home. This can cut energy use significantly. More traditional fiberglass insulation contains formaldehydes to bind the material. Cellulose insulation does not contain these formaldehyde compositions and uses a low-toxicity chemical to help resist fire, insects, and mold. Creating a green structure relies heavily on the types of materials you use. The name of the game in the “green” world today has been sustainability—it’s all about consuming sustainable food and using sustainable products. Things are no different in building. Sustainable building materials are a must. When remodeling or building a home, consider items like bamboo and recycled glass. Bamboo is one of the best materials builders can use for flooring and other decorative accents. Wood flooring is an extremely desirable trait in a home. Bamboo, though not actually wood, makes a great and sustainable wood floor. Bamboo is extremely sustainable because it grows so rapidly and will regenerate without replanting. Using bamboo for wall coverings, countertops, and hardwood floors can significantly reduce your impact on the environment. Additionally, recycled glass has become popular for tiling and countertops in homes. The outcome is extremely durable and very environmentally friendly. VOC stands for Volatile Organic Compounds. These substances are the solvents in paints and wood stains that evaporate readily at room temperature and give off the small associate with paint products. These solvents are bad for people and for the environment. Even after the paint has dried and the smell has dissipated, VOCs continue to release toxins into the air, harming air quality. Today, paint companies are creating paints and stains that are low-VOC or no VOC. Whether you’re painting an entire home or you’re just looking for an accent color change, using no VOC paints is the socially responsible thing to do. When staining wood for a building or home, use water-based stains. Traditional stains are extremely toxic and contain high levels of VOCs.